As much as we don’t like to think so, there’s the potential for medical mistakes every time we visit doctors and hospitals. After all, doctors and medical assistants are only human. Considering how many people head to the doctor on any given day in the United States, it’s not surprising that incidences of medical malpractice continue to rise. Not every misdiagnosis by a medical professional is medical malpractice. For those patients with textbook symptoms of a condition who aren’t diagnosed correctly, and the failed diagnosis leads to adverse medical consequences, there is a strong probability of medical negligence. Some surgical mistakes are obvious such as when a surgeon leaves a sponge or surgical instruments inside a patient after surgery or when organs are accidentally punctured. 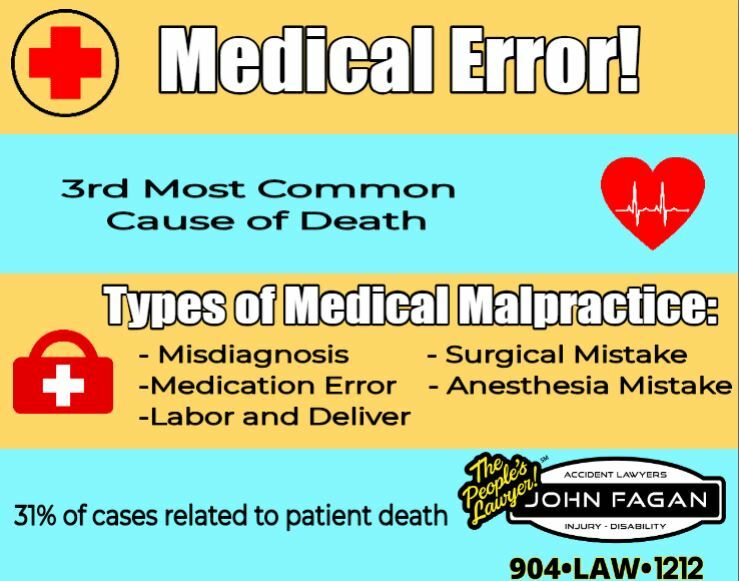 Same medical malpractice can also be less obvious such as when surgical procedures are poorly performed resulting in subsequent patient impairment. According to the United States Food & Drug Administration (FDA), more than one million people are injured each year due to medication errors. These errors run the gamut from medical personnel administering a medication incorrectly to a doctor prescribing the wrong dosage. Some of these mistakes are harmless, but often could have deadly consequences. Anesthesia errors can result in a patient being in pain during a procedure because he or she received too little of the medication. Too much anesthesia can have devastating results like brain damage or even death. Birth injuries are often traced to the actions of a medical professional. A delivery that was improperly conducted can result in injuries to the baby can last a lifetime.